I know somebody watched the video last year of Nick McKaig performing an a capella version of the Star Wars main theme and thought to themselves, “This is a pretty solid video and all, but what we really need is more violin. And more cowbell, but I could do without the cowbell.” A hundred trips to the wishing well later, and the ridiculously talented tag team of cosplay violinist Lindsey Stirling and a capella maestro Peter Hollens have put together a Star Wars medley that easily provokes the same sense of epic heroism that John Williams’ original score does so well. 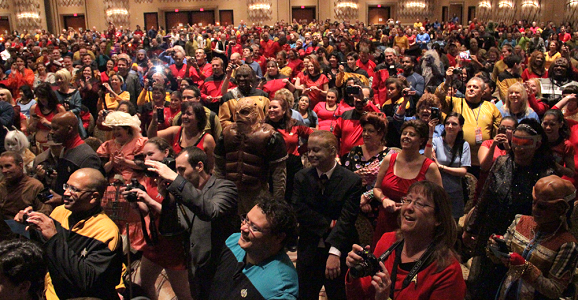 If this were just performed on a stage (or in a cantina) full of cheering fans, it would be one thing, but the cosplay and production design seen here are both aces. There are deserts, forested areas, and dark corridors. There are Jedi robes, Wookies, Leia hairbuns, Darth Vaders, lightsabers and even a Boba Fett giving his best “Come at me, bro!” If you just imagine a planet blowing up in the background, then this is the perfect video. Before San Diego Comic-Con this year, actor Vin Diesel took a meeting with Marvel Studios to discuss appearing in one of their movies in an unidentified role. Movie pundits speculated that he was possibly playing Dr. Hank Pym (AKA Ant-Man) or the self-aware robot Vision. A few days ago, Vin Diesel updated his Facebook cover photo with an image of Groot, the treelike alien member of Guardians of the Galaxy. Obviously, this led to speculation that the Fast and The Furious actor would voice the role of Groot in the new Marvel movie. 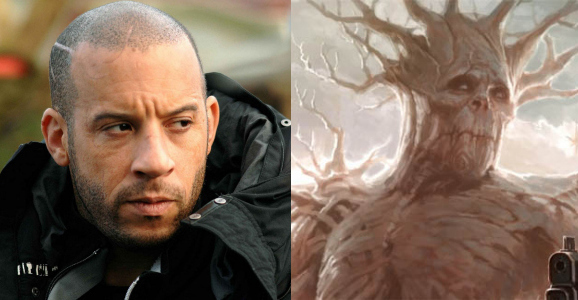 The Groot image was soon taken down, so is Vin Diesel playing Groot after all? WARNING! The following clip features the original ending to the 1990 Teenage Mutant Ninja Turtles film. 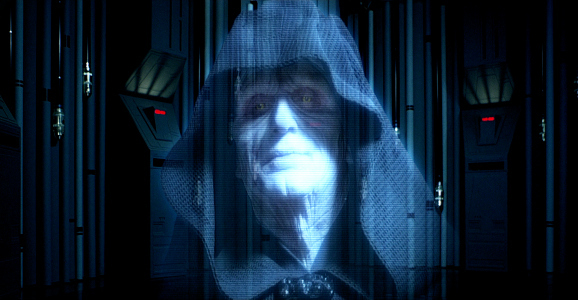 Though it doesn’t end in any major character’s death or anything, it’s still quite tragic, and forced my inner child to stick its head in an oven and set the temperature to groan-hundred degrees. Thanks (or no thanks) to the guys at SlashFilm for cluing us into this video, which would have reached hero status if it committed suicide before anyone aside from producers laid eyes on it. Let’s discuss everything wrong with this clip. Every fan of The Walking Dead knows that Michonne is a certified badass. This may vary by degrees depending on whether we’re talking about Robert Kirkman’s comics, or AMC’s hit television show where actress Danai Gurira portrays the katana-wielding character, but I stand by this statement across the board. When the zombie drama returns to the airwaves—or cable feeds, as is the case—on Sunday, October 13, she’ll still be a badass, but this time she’ll have a horse. Opting for a different mode of transportation makes a great deal of sense after the whole world goes to hell. There aren’t exactly gas stations on every corner anymore, and now that the dead have risen and are walking around, there are a finite number of fan belts left in the world. All the cars are bound for the scrap heap eventually. This is a fact that has been noted by producers and creators. For Gurira, however, this equine edition to the cast has also been a big change, and a challenge. 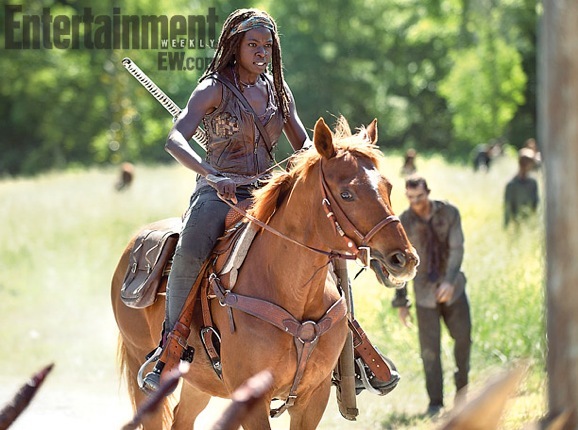 Michonne may be comfortable on horseback, but the actress that plays her, not so much.